I’m back today with a fun Five on Friday to help us ring in the New Year — some festive champagne drinks for your celebration! I’ve been on the couch most of the week with my *annual* holiday head cold, but I’m looking forward to sipping one of these tomorrow evening during our own little New Years Eve celebration. 1. 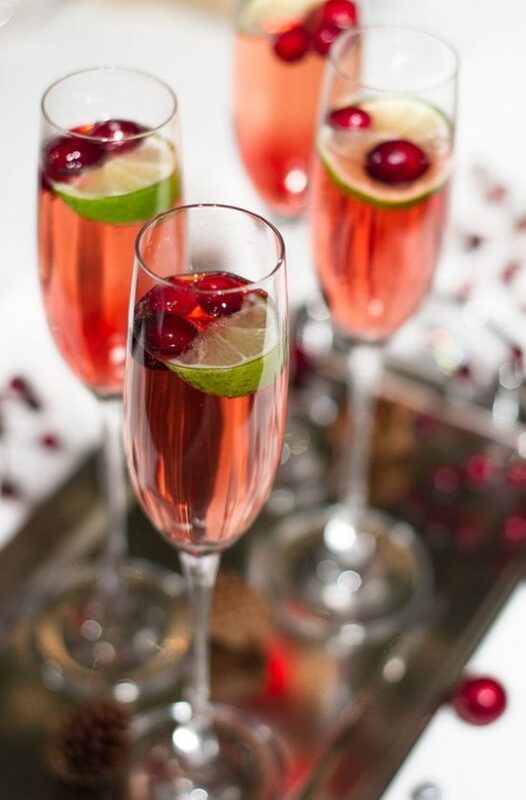 Christmas Champagne Cocktail. Because even though it’s not Christmas anymore, this looks delightfully refreshing and festive! 3. Winter Champagne Cocktail. These are just gorgeous to look at and I love the orange twist and don’t you know that sprig of rosemary must smell delish. 4. 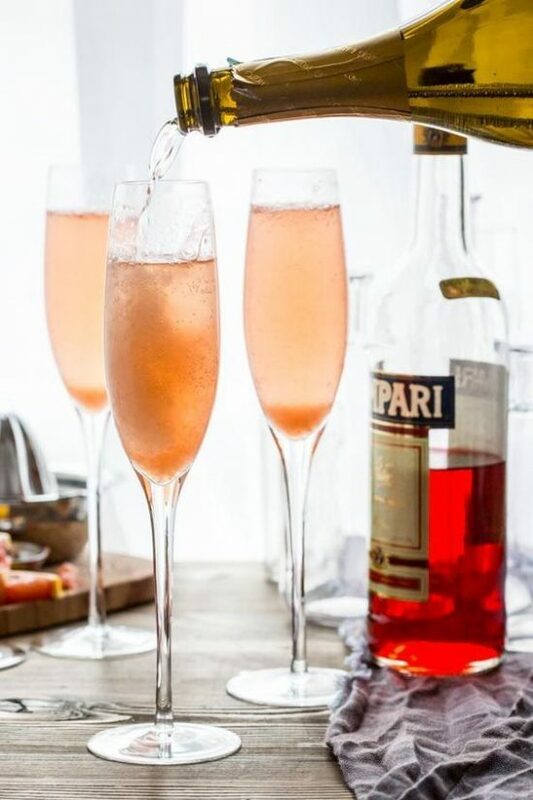 Grapefruit Champagne Cocktail. I do love the tart of grapefruit and think this would be perfect for New Years Day brunch. 5. 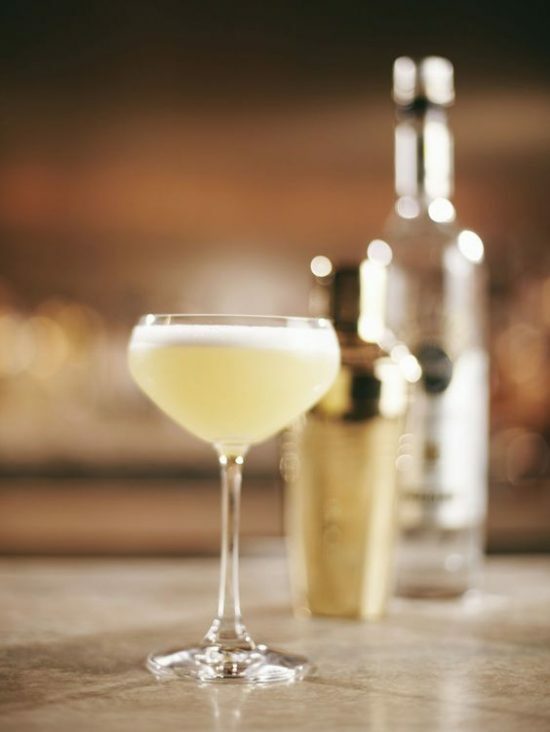 French 75. 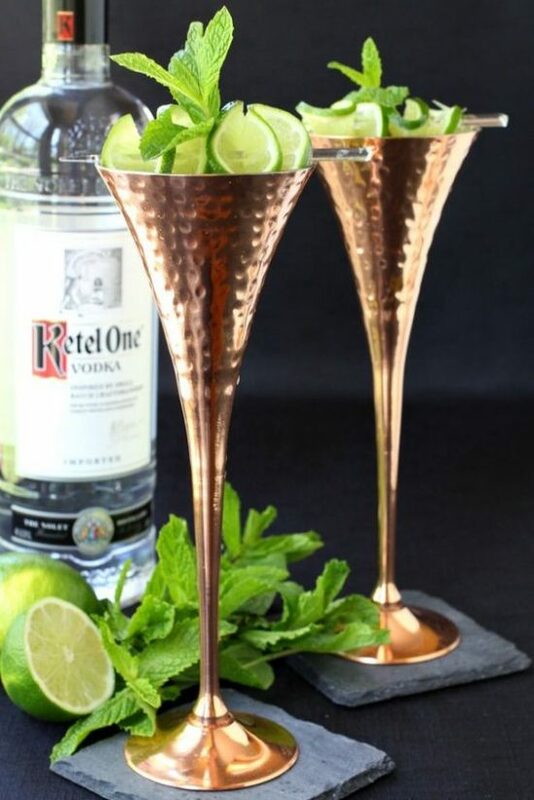 I had to include this as a personal favorite of me and my BFF… it’s an old-fashioned cocktail and it’s turning up on cocktail menus everywhere. What’s old is new again! I haven’t quite figured out our New Years menu yet, but it will be something cozy as Old Man Winter has arrived again today. I wish you all a very Happy New Year and look forward to sharing some reflections and goals (and a project or two) next week. 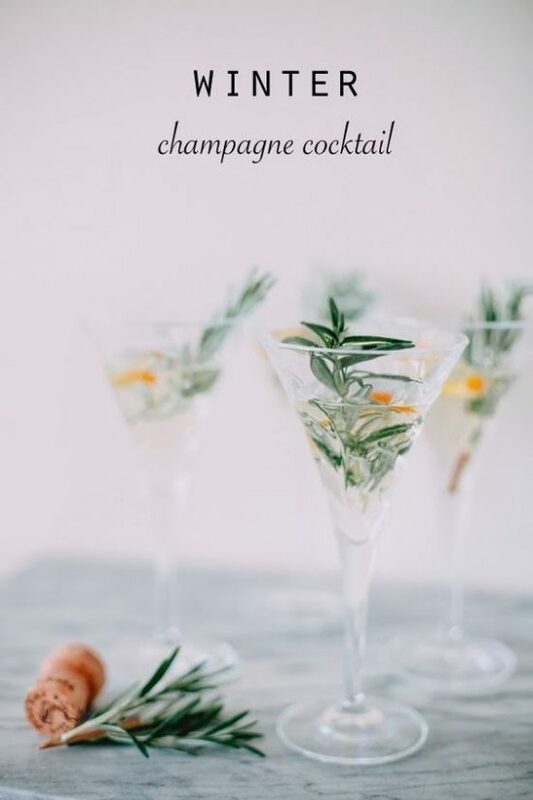 Thank you for featuring my cocktail on your list! Happy New Year!